Jolie Maxtin: Freedom Pattern has been released! 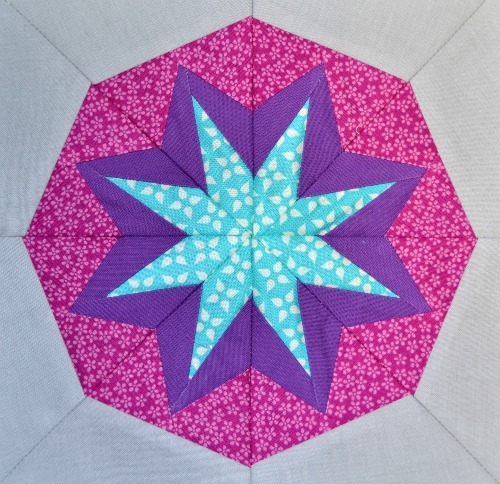 Esther over at I Patch and Quilt has designed her first paper piecing pattern, called "Freedom" from her "Star Collection". I had the honor of being accepted as a pattern tester for her earlier in the month so it has been under wraps for a short while but it is tested and ready to go! This pattern is available at Craftsy now. I encourage you to go download it! She is offering this pattern FREE and has more patterns in the works, due to be released soon! One of this things Esther includes in her patterns are a few sketches of the pattern in different color schemes, as well as some blank templates that you can color in to see what colors you may like to create this in. 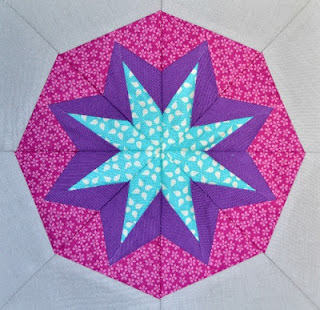 For a peek at some of the test blocks - click over to Flickr. Freedom is unfinished at 8.5", which is an 8" block finished, perfect for a tote, zip bag, mini or pillow. I love this star! The colors are what makes it I think. They really show off the pattern.